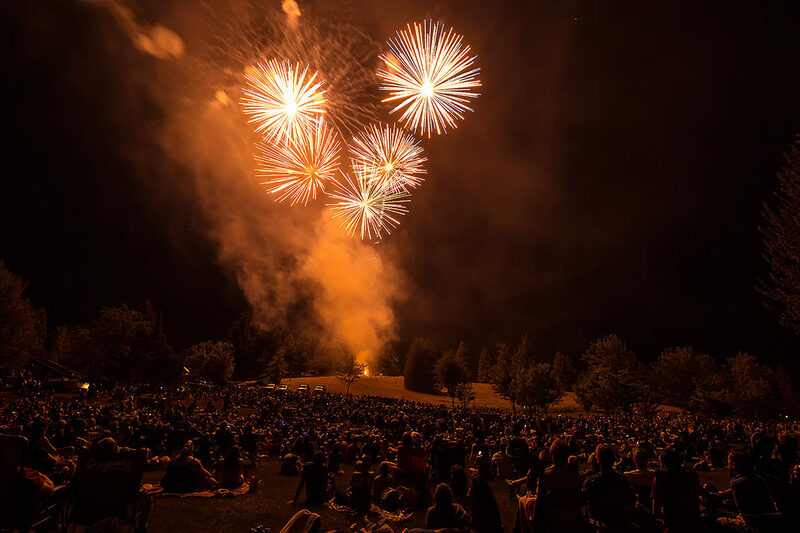 Pullman's Fourth of July Celebration at Sunnyside Park. Is there a single day when the weather is more important than on July 4? With its holiday picnics, parades, foot races and fireworks held from Alaska to Maine, the holiday draws more Americans outdoors than any other day of the year. A historical look at Fourth of July weather shows that it typically sparkles in our region. In the eastern half of Washington state, there’s a mere 0-10 percent chance of rain probability, ranking it as having among the highest chances of clear skies in the U.S., according to an analysis done by NOAA. On the state’s western side, it’s 20 percent. The highest likelihood of soggy picnics and rained-out fireworks is in Florida, the Gulf Coast, Southeast Alaska, Hawaii’s Big Island and the northern tip of Maine, the agency states. Throughout much of the Inland Northwest, high temperatures on the Fourth tend to run in the low 80s, with overnight lows in the mid-50s, and few clouds. Not only was it warm and dry last year, but only trace amounts of rain were recorded during the entire month. 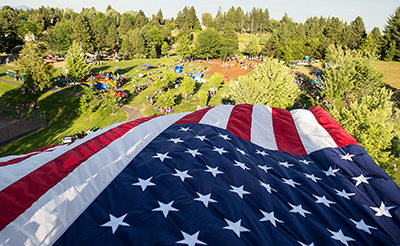 Sunnyside Park begins to fill up for Pullman’s 2015 Fourth of July Celebration. Other bone-dry Julys include 2013, 2008, 2003, 1994, 1973 and 1960. Nevertheless, Independence Day isn’t always rain free. In 2006, severe thunderstorms and hail struck parts of central and eastern Washington, causing millions of dollars-worth of damage to wheat and barley crops and fruit trees. Hardest hit were Chelan, Lincoln and Adams counties. In 1992, a tornado touched down north of Wenatchee. And while it didn’t rain on our parade in 2015, a major heat wave baked holiday festivities when temperatures topped the high 90s and low 100s. The record scorcher was in 1906, when Kennewick reached a Phoenix, Arizona-like 111 degrees. Mother Nature is going easy on us this year, delivering conditions we’re accustomed to having and enjoy the most: temperatures in the low 80s, clear skies and light breezes. As for the rest of summer, predictions call for warmer than normal temperatures. Fortunately, conditions shouldn’t smack of what USA Today described as the prolonged “freakishly hot, dry weather” that the Pacific Northwest experienced in summer 2015. Weathercatch is a bimonthly column that appears in The Spokesman-Review. Nic Loyd is a meteorologist with Washington State University’s AgWeatherNet. Linda Weiford is a WSU news writer and weather geek.